Here is a photo of the area near the GooglePlex, in Mountain View, California by Charleston and Shoreline. You can see they are in the early stages of putting up new buildings to handle the increasing workforce at that location. 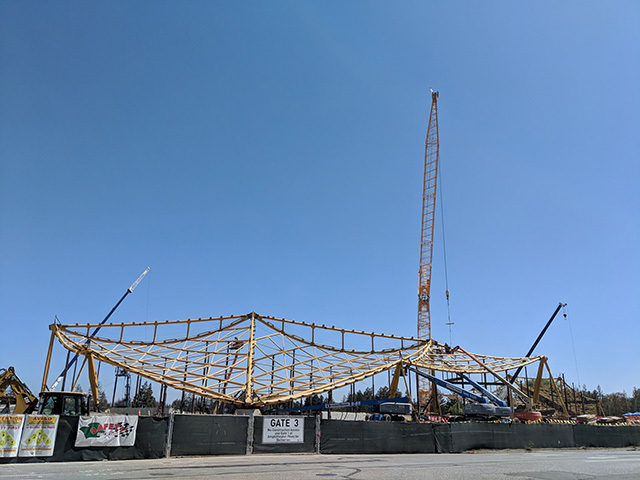 Louis Gray shared the photo on Twitter and wrote "the new Google campus going up at Charleston and Shoreline looks like the biggest adult set of Tinker Toys ever created. Have fun, construction team!"